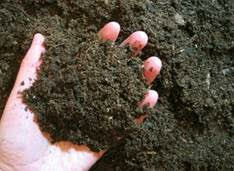 Healthy soil is the foundation of a successful landscape. Learn from a soil scientist about the components of a robust soil system and how to make it work better for your landscape. The second half of class will be dedicated to teaching you how to make your soil even better by effectively using compost and mulch. All participants that attend this class will receive discount coupons for the Snohomish Conservation District plant sale, and be able to scoop compost to take home!